What is the Sexual Assault Response Team (SART)? 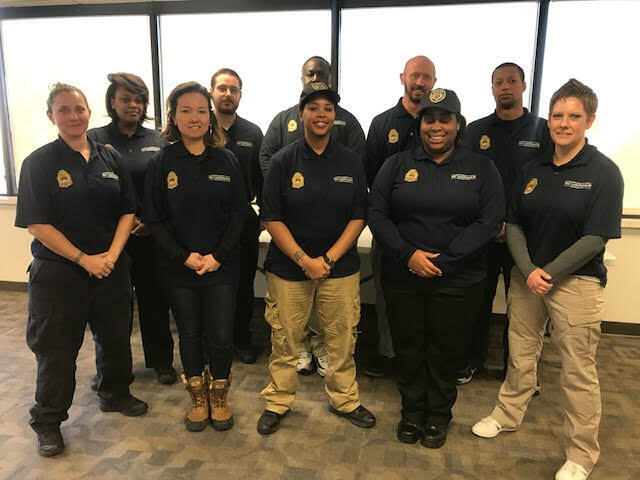 The Sexual Assault Response Team (SART) is a team of specially trained Police Officers within the Georgetown University Police Department (GUPD). These officers work together with the common goal of providing a community coordinated response to reports of sexual assault. Working in coordination with University partners, SART strives to respond to survivors with professionalism, compassion, and empathy, while providing both on-campus and off-campus resources and ensuring that each survivor gains a solid understanding of all options moving forward and is fully supported throughout their process. Email: SART@georgetown.edu. Please note that email is not monitored in real time, if this is an emergency please call the Georgetown University Police number listed below. Phone: 202-687-4343. When calling ask to be connected to Sergeant Halpren-Ruder. Guidance on how to Obtain Protection Orders; GUPD may not issue protection orders as they are issued by a judge via the Domestic Violence Intake Centers. Survivors who wish to seek a protective order should consider taking steps to preserve evidence, as it may be necessary to establish the proof of criminal domestic violence, dating violence, sexual assault, or stalking. My name is Sergeant Sarah Halpren-Ruder and I have been with GUPD for just under 5 years. I am currently one of the midnight patrol sergeants. I have approximately 15 years of experience in law enforcement, between GUPD and the NYPD, where I was a member of a plainclothes Citywide Anti-Crime Team. I have a master’s degree in Criminal Justice from John Jay College of Criminal Justice and am almost finished with the Emergency and Disaster Management master’s degree program here at Georgetown. I became the SART Coordinator approximately 3.5 years ago when I was promoted and have been working hard to build bridges between GUPD and other critical resources, both on and off campus, so that survivors are afforded the best options and attention when they choose to report a sexual assault of any type to our department. Hi, my name is Officer Janelle Clark. I have been with the Georgetown University Police Department for 3 years. I became a member of SART almost immediately upon starting with the department and am very passionate about the work that we do. I work a varied schedule, but am here primarily during the day and evening hours. I am originally from Pennsylvania and moved to DC to attend American University, where I obtained my MS in Justice, Law, and Society. My name is Sergeant Scott Conner. I've been with the Georgetown University Police Department for 4 years and am currently one of the shift supervisors for the department's evening patrol shift. I graduated from George Mason University in 2012 with a Bachelor's degree in Criminology. Prior to working for Georgetown University I spent over ten years working in the fitness industry. I joined the SART team in order to gain training and experience which will allow me to deliver the best services possible to those that have been the victim of crime or other trauma. I wish to provide the quality of service that I wish my wife, other family members, and/or anyone else who is important in my life would receive should they ever be in need of such resources. Hello! My name is Sergeant Nelson Jackson and I have worked at the Georgetown University Police Department for 4 years. I currently work the evening shift. I am also a student at Georgetown, graduating with a bachelor’s degree in Liberal Studies in Georgetown in May of 2018. Previously I served in the US Army as an airborne infantryman who served for over two years in Iraq and Afghanistan. I have dealt with sexual assault cases at Georgetown and I am also always approachable for any student, faculty, and/or staff members regarding concerns and complaints or even just for casual conversation. I have friends who are survivors and would like to be a voice for them, as well as be a resource and to help to identify resources for those in need. My name is Communications Officer Sean B. Cannady and although I am a newcomer to SART, I am a 10 year veteran of the Georgetown University Police Department, spending the last 8 a Communications Officer on the evening shift. I have been married to my wife, Nicole, for 21 years, after meeting in college in 1993. We have 2 children...son Rashan, 17 years of age and a high school senior, and daughter Kaiyah, 13 years of age and in the 8th grade. I am also an accomplished percussionist/pianist, performing many genres of music. I not only majored in Music Education/Gospel Studies, but from 1995-1999 I served as Asst. Band Director for Calvin Coolidge Sr. High School in Washington, D.C., my Alma Mater. In my spare time, I enjoy spending time with my family, cooking, watching sports, listening to music, and performing for various churches and music groups throughout the Washington, D.C. area. I joined SART because I believe that all survivors deserve to have an advocate for them, while reminding everyone that it's not their fault, nor is it okay for anyone to feel violated. Their lives also matter, and the more that we continue to drive that message home, the hope is that more and more survivors will have the courage to come forward so that we can provide comfort and a safe haven, while addressing the problem(s) and subsequently assist with the healing process with empathy, compassion, and understanding. My name is Officer Yahaira Hurtado and I have been with Georgetown University Police Department since January 2016. I currently work the midnight shift. I joined the sexual response team because I want to help, provide resources and positively shift a survivor’s life. Overall, I love working in Washington D.C.
My name is Officer Meadows and I have been with GUPD since April 2016, working the evening shift. I have been a member of SART since joining GUPD. Prior to joining GUPD, I worked for the Metropolitan Police Department and was assigned to the Sixth District. I have a bachelor's degree in Political Science and Law & Society from American University. My name is Officer Newman and I have been a member of the Georgetown University Police Department for three years. I currently work the midnight shift. I have been in the Law Enforcement/ Security field for over six years and have an Associate’s Degree in Criminal Justice. I joined the Sexual Assault Response Team (SART) shortly after I arrived here at Georgetown and feel that this team really strives to give a voice to survivors of sexual assault and those close to them. Together, we can work to assist those affected by sexual assault and change the negative outlook on reporting them. Hobbies: Poetry, playing piano, EATING! My name is Officer Lisette Saunders and I have been a member of the Georgetown University Police Department for 2 years. I have had the pleasure of being a Sexual Assault Response Team (SART) member for 1.5 years. As a 2 year employee, I work a varied schedule that typically falls into the evening. I am originally from New York, where I had achieved my Bachelors in Criminal Justice and Psychology. Since being in the DMV area, I also achieved my Masters in Computer and Digital Forensics. I have experience dealing with survivors of Sexual Assault through the corrections system. I have been able to advocate for those in need and extend resources available to the survivor. Being a member of this team has been very rewarding and those that need assistance should know that I am always here to listen.